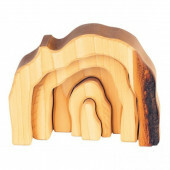 Gluckskafer natural wooden cave 5 pieces. 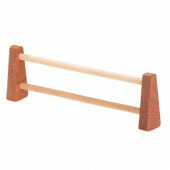 A wooden gate which measures 20*6*3cm. 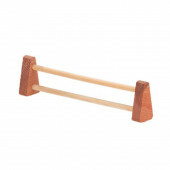 A wooden gate which measures 18*4*2cm. A large building set containing 53 pieces. It measures 35*27*5cm. A wooden train with five coach. Every coach has a candle holder. It measures 49*6*8cm.